Sept. 1, 2018, 1:46 a.m. Going to Portland for a week. Driving down from Van with bikes. Not going to stop in Washington as i've ridden there enough. Any recommendations of "not to miss" trails? We were going to hit hood river area on the way. we will Ride everything except shuttle and flow trails. Sept. 1, 2018, 10:16 a.m.
Sandy Ridge outside of Portland is pretty good biking. I would also throw in a day at Black Rock if you can. I enjoyed both those places much more than Hood River. I remember being really impressed by the food at Deschutes back in the day. Jam on SE Hawthorne for breakfast too. Hub brew pub somewhere SE as well. Good beers and food. Last edited by: nortonwhis on Sept. 1, 2018, 10:18 a.m., edited 1 time in total. Sept. 1, 2018, 12:14 p.m. I always enjoy the Rogue pubs. 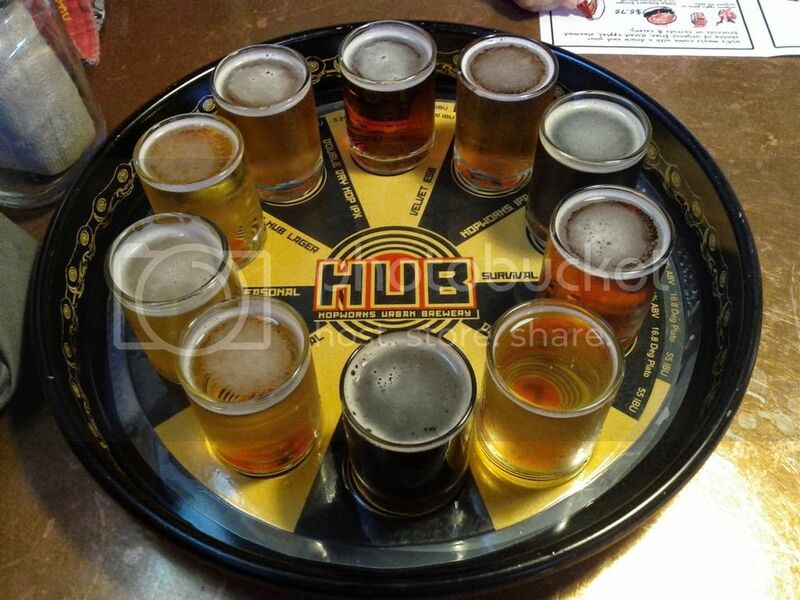 +1 for HUB, great taster trays. Sept. 1, 2018, 6:03 p.m.
Good gawd there is so many places to eat there. If you like mexican Ironhourse is top knotch. Sandy ridge, and Black rock are good fun to ride. Last edited by: Brocklanders on Sept. 1, 2018, 6:03 p.m., edited 1 time in total. Sept. 1, 2018, 11:49 p.m. Thanks alot for the advice. Anyone ever ride the alpine trail at oakridege or the Mckenzie river trail? Sept. 2, 2018, 11:48 a.m.
Lots of fires down that way but you might get lucky with wind direction. Last edited by: nortonwhis on Sept. 2, 2018, 11:52 a.m., edited 1 time in total. Sept. 2, 2018, 5:35 p.m.
Oakridge is good fun, Alpine trail is fast and easy... If you wanna ride a endlessly lame flat trail for 20 miles, MRT is for you. Some people love it, I thought it was a waste of a day. 3 restaurants we loved when in Portland in June. Kati Vegan Thai - Spicy Thai food, was killer good. Last edited by: Brocklanders on Sept. 4, 2018, 1:17 p.m., edited 2 times in total.